For more than 120 years St. Francis of Assisi Parish in Sacramento was under the pastoral administration of the Order of Friars Minor (OFM). At the Provincial Chapter in January of 2016, it became evident that there were simply no priests available to continue this administration. The Friars ended their pastoral ministry at St. Francis in June of 2016 and, on July 1 of that year, the Rev. Desmond T. O'Reilly was installed as the first non-Franciscan Pastor at St. Francis Parish. On these pages we look back at some of the history and influence of the Order of Friars Minor, and look forward as witness to the seeds planted, not only by the Friars but by all of our Franciscan brothers and sisters, take root and continue to grow. 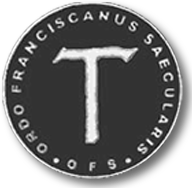 The Order of Franciscan Seculars (OFS) is an organic union of all Catholic fraternities scattered throughout the world and open to every group of the faithful. In these fraternities the brothers and sisters, led by the Spirit, strive for perfect charity in their own secular state. They pledge themselves to live the gospel in the manner of Saint Francis. The rule and life of the Secular Franciscans is to observe the gospel of our Lord Jesus Christ by following the example of St. Francis of Assisi who made Christ the inspiration and the center of his life with God and people. 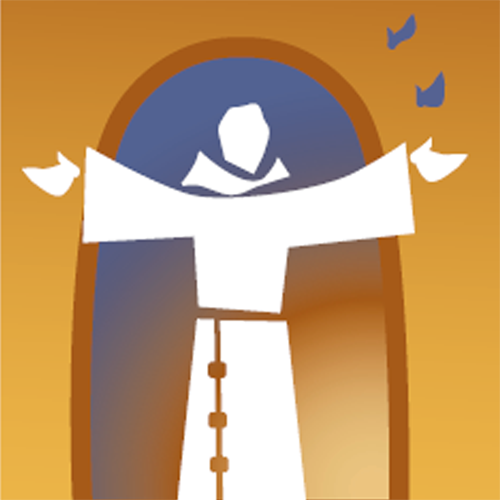 Secular Franciscans devote themselves especially to careful reading of the gospel, going from gospel to life and life to gospel. They seek to encounter the living and active person of Christ in their brothers and sisters, in Sacred Scripture, in the Church, and in liturgical activity. Implemented by Fr. Ken Laverone, OFM, this new iteration of the Secular Fraternity at St. Francis Parish began being organized prior to the departure of the Friars in June 2016. A formation class established in the spring of 2016 saw nine members welcomed as Candidates, who went on to spend 18 months discerning a vocation as a Secular Franciscan. April 2018: the Fraternity offered its' third orientation class for Inquiry. November 10, 2018: Four of candidates who were welcomed in the spring of 2016 will profess at a Mass presided by Rev. Ken Laverone, OFM. The first professed members in the St. Francis forming Fraternity are Debbie Clingingsmith, Melba Hinojosa, Dana Swears, and JD Warrick. As of late February 2017 this community was granted the status of Newly Forming Group. March 26, 2017: the Fraternity offered its' second orientation and informational meeting for those interested in entering the next Formation Class session. December 12, 2017: The six members of that formation class were welcomed as Candidates and began their 18+ month journey of discernment. For more information about the forming Fraternity at St. Francis Parish, watch our bulletin and this page, or email jdwarrick@stfrancisparish.com. Is God Calling You to the SFO? Residing at the Friary, Br. 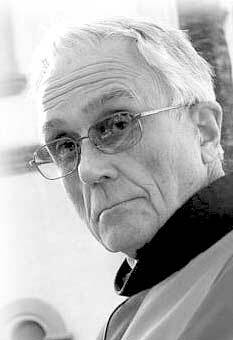 John Summers, OFM offered to write a column for the website which resulted in Friar Factor. Devoted to things Franciscan from a friar's point of view, this series offers a chance to go a bit deeper into the Franciscan life. The origins of the Franciscan religious habit go back to a wealthy cloth merchant's son who came to be known as Saint Francis of Assisi. In his day, there were only two social classes, the majores (nobility), and the minores (peasants), with a growing group of merchants in a middle state not yet clearly defined. As he grew in his devotion to our God who became poor to dwell among us, Francis wanted to follow Christ in a very concrete way. Francis decided that, in order to do this to the fullest, he must live a poor life himself, so he adopted the common dress of peasants, a simple tunic of unbleached, un-dyed wool. Many peasants also wore a hood, and a rope around the waist was handy for keeping loose clothing out of the way while working. When other men asked to join him in his way of life, Francis had them wear peasant clothes, too, and he called them fratrum minorum (lesser brothers). When the church formally recognized and approved the group, the name Ordo Fratrum Minorum, or Order of Friars Minor, became official—"OFM" for short. Written between May 06, 2007 and March 09, 2009, this series of 18 articles by Fr. 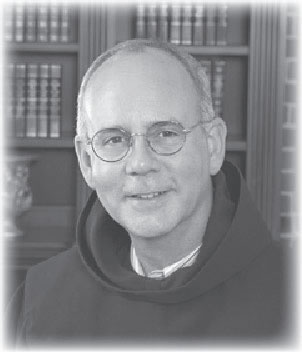 Larry Dunphy, OFM, looks at the subject of Social Justice from a uniquely Franciscan perspective. We are very fortunate that this gentle priest left for us a legacy of his deeply considered thoughts on Social Justice. Fr. Larry was in residence at the St. Francis Friary at the time these were written, and was heavilly involved with the Franciscan Action Network (FAN). Twice a month I will be writing some reflections on Social Justice. First I will present some general background with emphasis on a Franciscan perspective, and then I will discuss specific current issues. In doing this, I hope to improve awareness and understanding so that we can make Social Justice a part of our Catholic and Franciscan thinking. Our call to live a full Christian/Catholic life touches upon all of reality. There is nothing that is outside the perspective of faith. All of our human relationships, both individual and communal, are meant to be enlightened by and examined by the truths of faith. Oftentimes Catholics want to confine faith to things that take place in Church or that treat of sexual morality. Our Baptismal commitment to do good and avoid evil has a much broader perspective than the scope of the Ten Commandments. It includes every aspect of our individual and social lives; that is why Social Justice is an essential part of a full Catholic life. The Church has said that its Social Justice teachings are “constitutive” of Church; that is, without such teachings we would not be Church. However, Social Justice is as much a part of Catholic belief and doctrine as are our teachings on sexual morality, the sacraments, or the Trinity. Part of the problem is that it is often looked upon as a kind of special interest topic. It is viewed as something separate from the rest of our Catholic life. Yet, when understood correctly, it is an essential part of our relationship with God and our neighbor. What is lacking is a correct formation in Social Justice. . A reading of the social encyclicals is not the place to start. Rather, it must start with reflection on our beliefs in God, Creation, Jesus Christ, and on what it means to be a human being and a co-creature with all others. Our liturgy also must help to form a spirituality of communion, out of which comes our understanding of and motivation for social justice work. When we understand these relationships rightly, then, we will recognize where these God-given relationships are broken and, therefore, not just. Wanting God’s plan to be preserved or realized, we will see that something needs to be done to restore wholeness or correct injustices. Next time, I will give some reflections about how our basic beliefs call us to a practice of Social Justice. • Continue reading this series by Fr. Larry Dunphy, OFM.